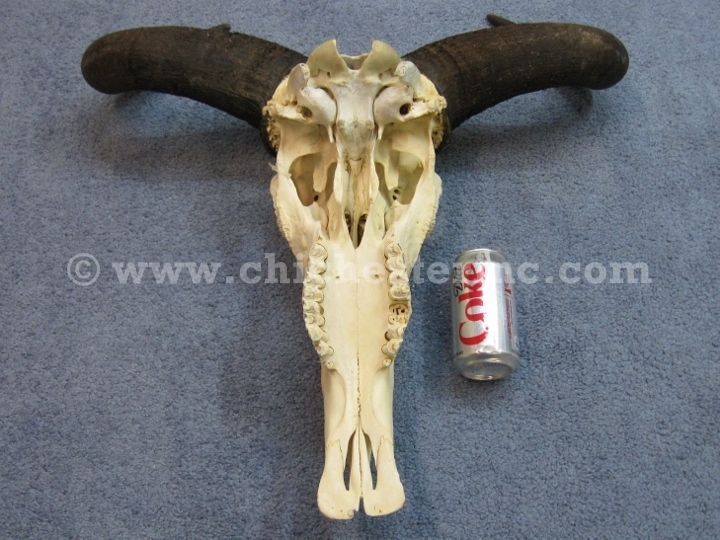 See the underside of the Jaw and a size comparison with a soda can. 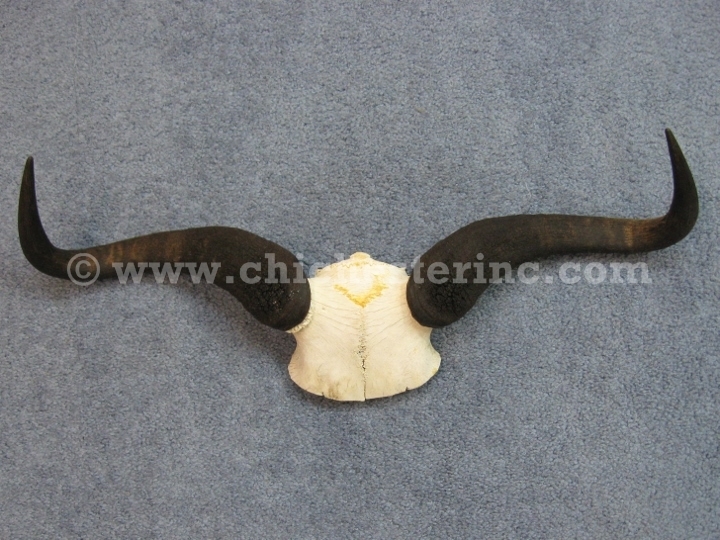 See a picture of the Skull Plate with Horns. 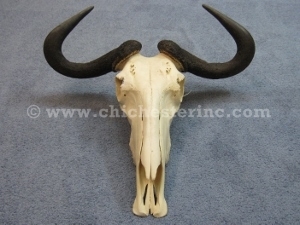 These are real African wildebeest skulls with horns. Some may only have the skull plate while others have the whole skull with the horns. They may not have lower jaws. Our Gxx codes denote individual pieces. If you would like to order a specific Wildebeest skull, please go to our Gallery to pick the exact one shown. Genus and species for Blue Wildebeest: Connochaetes taurinus. Wild. Genus and species for Black Wildebeest: Connochaetes gnou. Wild. Blue and black wildebeest are not an endangered species and are not subject to CITES controls.